China-Belarus No. 2 electric freight locomotive has obtained the Eurasian Economic Union (EEU) vehicle safety standard certification. Credit: CRRC. CRRC’s China-Belarus No.2 electric locomotive has been given the go-ahead to operate on the Eurasian railway network. The freight locomotive has been granted the necessary Eurasian Economic Union (EEU) vehicle safety standard certification – a first for a Chinese high-power AC drive locomotive, according to the rolling stock manufacturer – meaning it can run in the likes of Russia, Belarus and Kazakhstan. 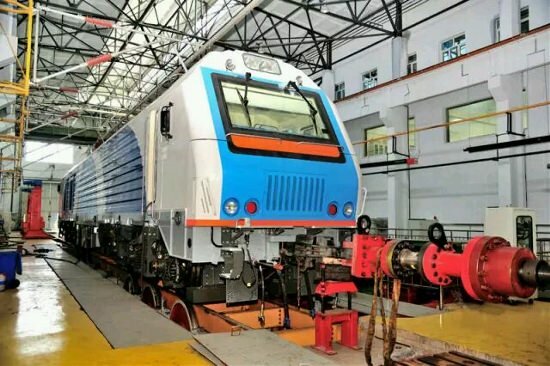 The EEU certification tested 52 train parts, 348 functions as well as the locomotive’s radiation, ecological safety and electromagnetic compatibility. The train was built by CRRC Datong, a subsidiary of CRRC, and is equipped to operate on AC 25kV 50Hz overhead electrification. It has a maxiumum speed of 120km/h.